I can’t get enough of these donut peaches at the moment. Once you get past their furry skin (not so keen not that bit!) they are utterly delicious. 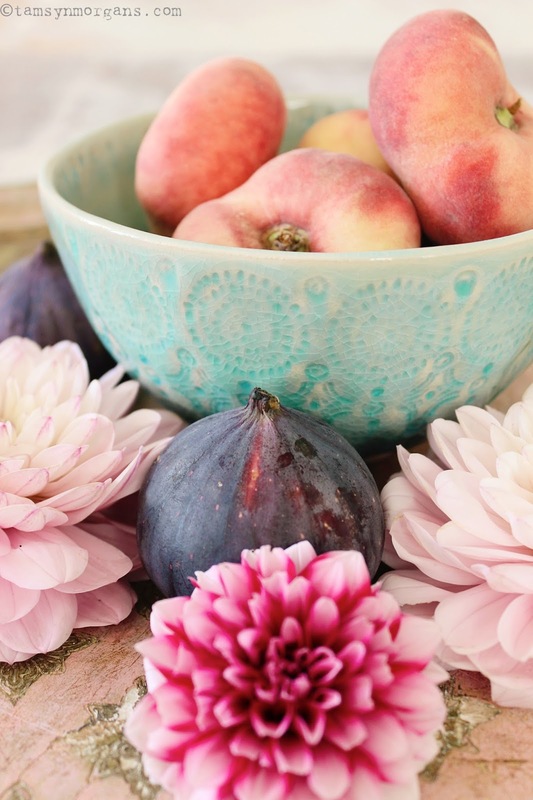 We are having a lazy morning here, but in a while I shall make a pot of porridge, and I will scatter slices of these peaches over the top and drizzle with honey. Perfect Saturday morning breakfast. I’m actually taking my first tentative steps into the world of food styling and food photography. I need to build my confidence up, but in the meantime, these peaches, despite their comical squashed appearance, are actually very pretty to photograph. 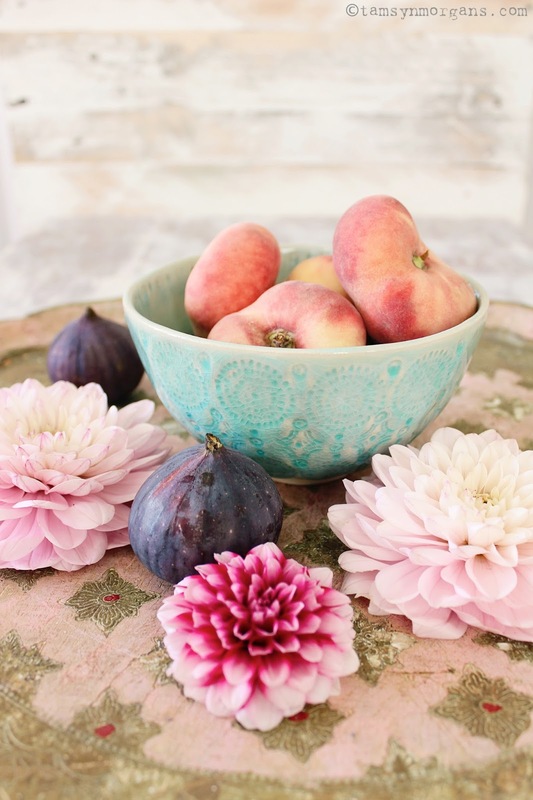 Especially when you throw some figs, dahlias, and some textured surfaces into the mix. Voting for the Interior Blog Awards closes in less than a week – thank you so much to any of you who have been kind enough to vote for me and this little blog. If not, I would be so grateful if you popped over to vote, it’s very quick and easy. You can vote for me here.